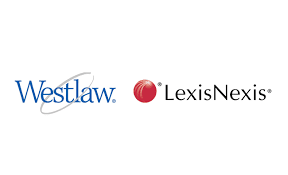 In a continued effort to attract longterm users, both Westlaw & Lexis have modified graduate access to offer generous extended access. · If you have not already enabled your access, you should see a prompt asking you to extend. Click on “I agree” and you are all set. What do I get with my extended access? · Drafting Tools - Access to contract review, citation formatting and authority review tools with Drafting Assistant. You’ll have 60 hours of access to the tools above each month for 18 months from your graduation date! While this email was sent to our graduates directly from Westlaw, very few of our recent graduates actually took the steps to enroll. We worked with our law school's alumni office to advertise "Grad Elite." This resulted in additional enrollees while generating alumni goodwill toward the law school (we hope). The 60 hours of access each month for 18 months includes commercial use. Sign in now with your law school Lexis Advance ID and you'll benefit from all these great resources. And don't forget, we're giving you free access to Lexis Advance® through December 31, 2017. As you take that next step and start your professional career, count on us taking it with you. These practice-ready solutions are provided by your law library to help you begin your career as a practicing attorney, supported. . . . These experiential legal tools are designed to help you build confidence, find insight into complex questions, and more - all through the support of your law school.